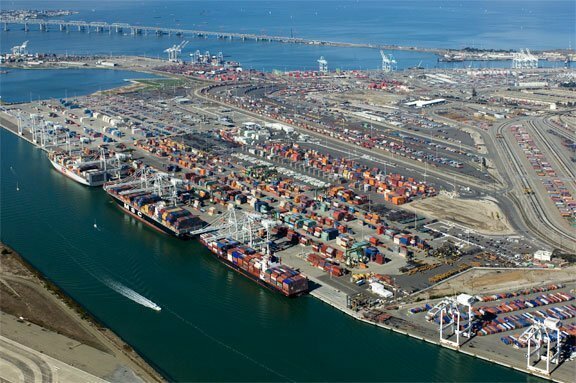 The FBI busted into a meeting of the Box Club in San Francisco last week and issued a number of the world’s top containerlines with subpoenas over a US price fixing probe, according to the Wall Street Journal (WSJ). The Box Club, formerly known as the International Council of Containership Operators, is an annual gathering of the world’s top liners. Among those handed subpoenas, according to report from Reuters and the WSJ, were Maersk Line, Hapag-Lloyd and OOCL. The antitrust investigation comes just days ahead of April 1’s big container alliance shake-up when new groupings THE Alliance and the Ocean Alliance kick off, while South Korea’s Hyundai Merchant Marine forming a partnership with the 2M alliance. Alliances have become the dominant force in container shipping – and the US’s Federal Maritime Commission has been anxious to ensure the wording in the founding of the new alliances does not risk creating monopolistic entities. According to Olaf Merk from the OECD, container shipping alliances covered 48% of liner capacity in 1998, a figure that is set to hit 88% by next year.